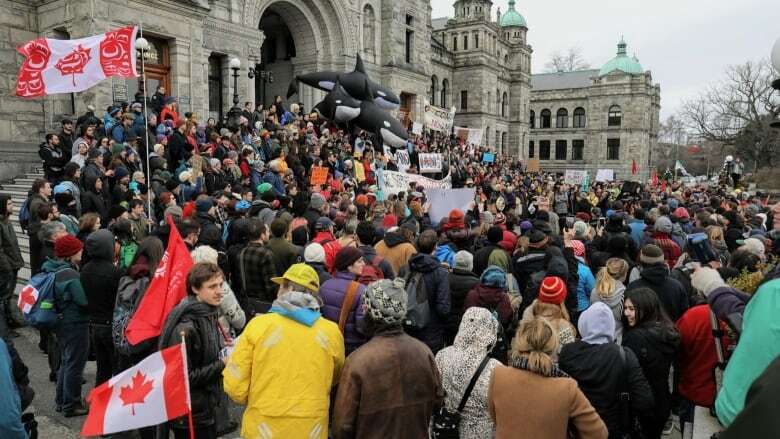 “I can feel the energy at this rally. 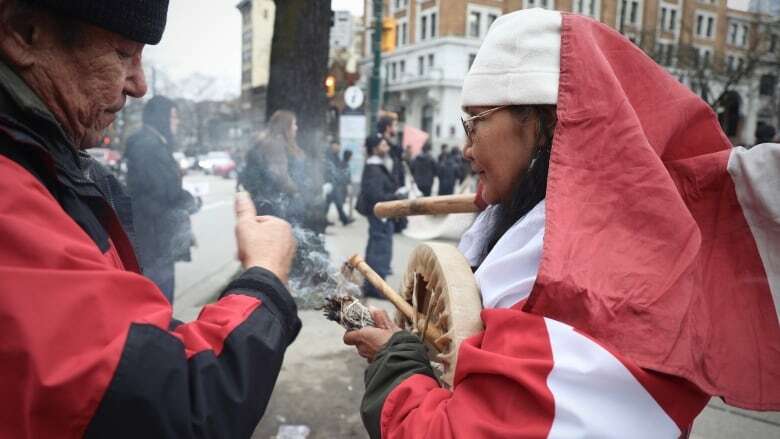 I can feel the deep commitment of the people, and this is only a small per cent of the many, many people that wanted to be here today,” said Chief Judy Wilson from the Neskonlith Indian Band. 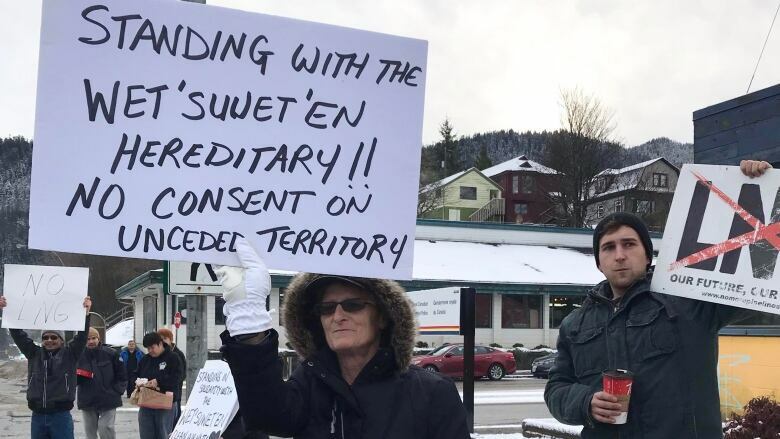 After the police action on Monday at the Wet’suwet’en Gidimt’en camp near Houston, B.C. 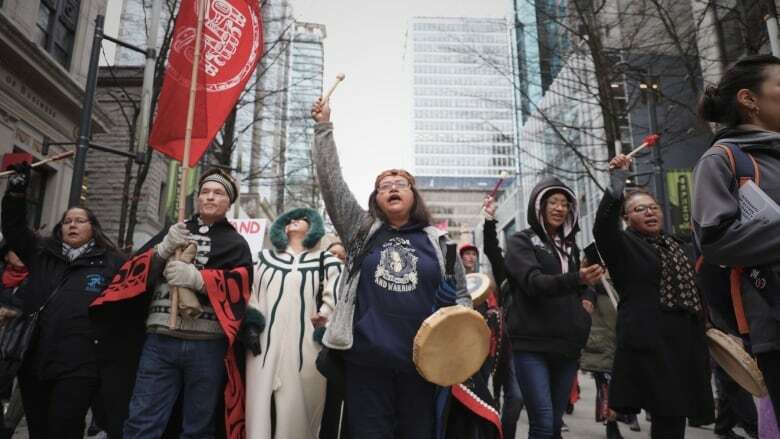 about 300 kIlometres west of Prince George, RCMP turned their focus to the Unist’ot’en camp, which is also stopping pipeline workers from passing. 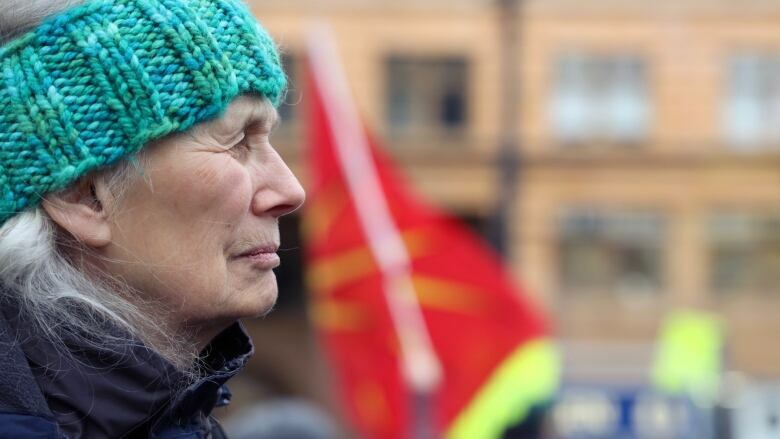 “We’re trying to protect our oceans, our waters, our rivers, our streams so that we can have fish, all the seafood from our ocean,” she said. 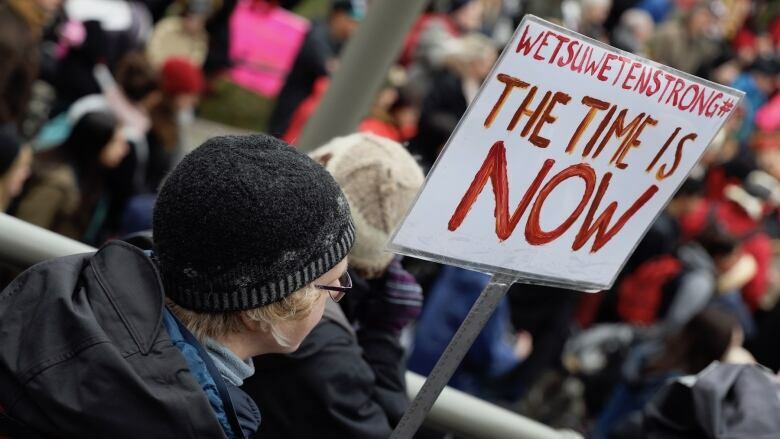 Sandra Vander Schaaf carried a hand painted sign that read “the time is now,” along with the hashtag, #wetsuwetenstrong. 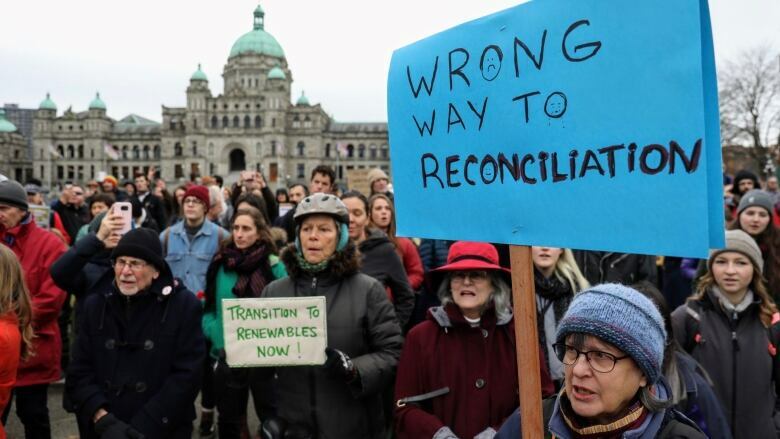 “Coming here today is my act of standing with the people of the land, because I do strongly believe that there are answers in Indigenous ways of knowing that will bring hope and beauty into a pretty devastated climate right now,” said Vander Schaaf, adding that she views her protest as “an act of repentance,” having benefited from colonialism. 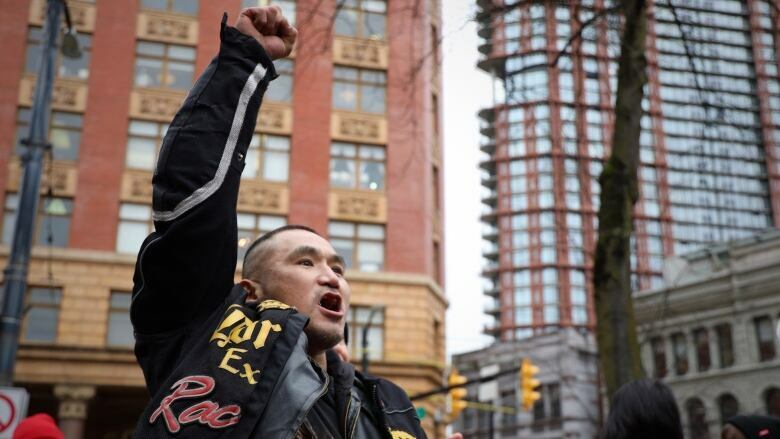 Richard Nazil, a member of the Wet’suwet’en Nation from Moricetown, held his fist in the air. 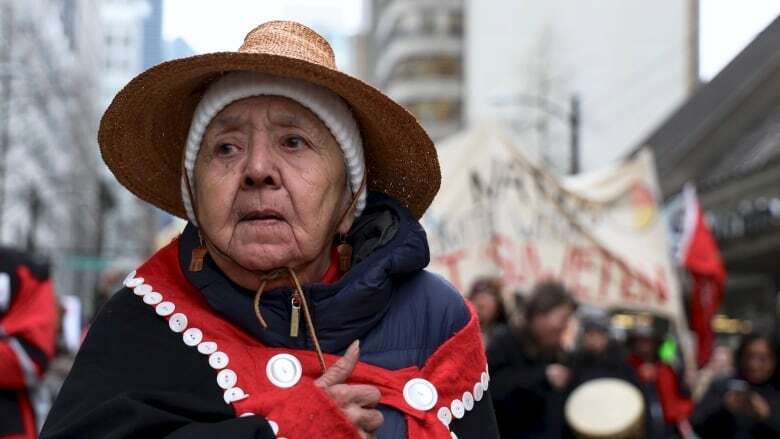 Christy David is also from the Wet’suwet’en Nation, though she now lives in Surrey. “They’re not going to shut us down. 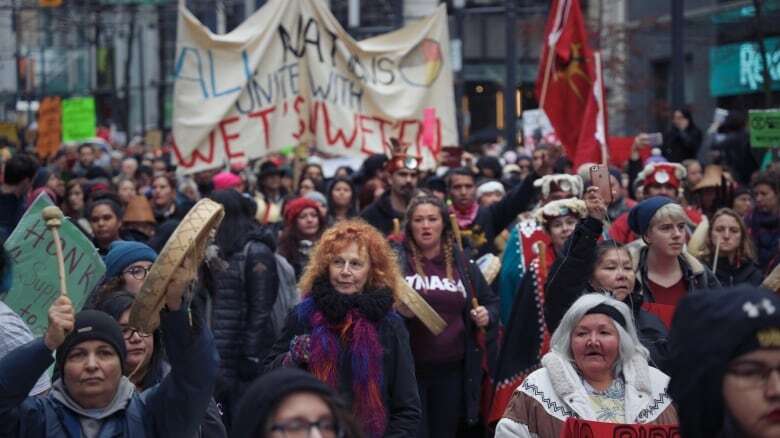 They shut those 14 down, but there’s 14 more in place,” said David, referring to the people arrested on Monday. Previous Could CEO of America decide Huawei case?